The Dolphin pub is allegedly one of the most haunted pubs in the country – and here are some photographs to back it up. The High Street pub in Littlehampton was built in 1735, and has appeared on national television as part of a ghost-hunting programme. Click here to see CCTV footage which captured a ghostly apparition at the pub. Landlady Ellie Boiling also runs charity ghost hunts and psychic suppers at the pub, and has captured some strange sights on her camera over the years. She said: "I absolutely believe. I try to disprove what I see, but there are no rational explanations for some of the things that happen here.” All pictures and video copyright of Ellie Boiling. 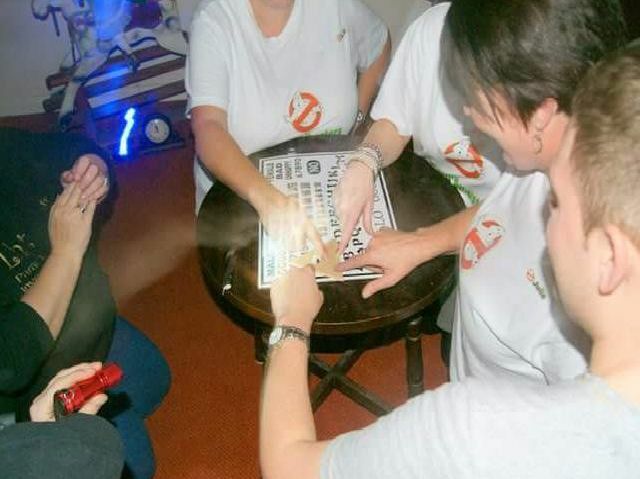 Taken in the function room upstairs during a charity ghost hunt, the head and shoulders of a man can be seen in the background. In the women's toilets, the medium asked the ghosts to give her a sign - and the photograph appears to show an outstretched hand touching her, Ellie said.